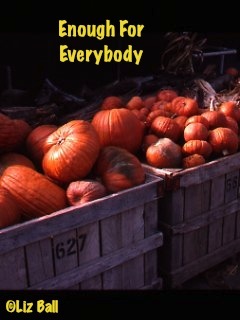 overwhelming question is...a pumpkin of course! Shakespeare refers in his "Merry Wives of Windsor". "Peter, Peter, Pumpkin Eater" and "Cinderella". species of the genus Cucurbita: C. pepo, C. maxima, C.
Pumpkins will grow in most soils, if they are well drained. They will not tolerate low areas with water-logged soil. Western states. Very acid soils should be limed or avoided. the less space each plant requires. plants, or manure tea can be fed to each hill. from being in direct contact with the ground while growing. prevent them from touching the ground. beetles, squash bugs and vine borers. they are very mobile and require diligent control measures. An insecticide may have to be used. is impractical, an insecticide may have to be used. fall should reduce infestation in coming years. that looks large enough to ripen in the next few weeks. casseroles and other main dishes. the origin of pumpkin pie.